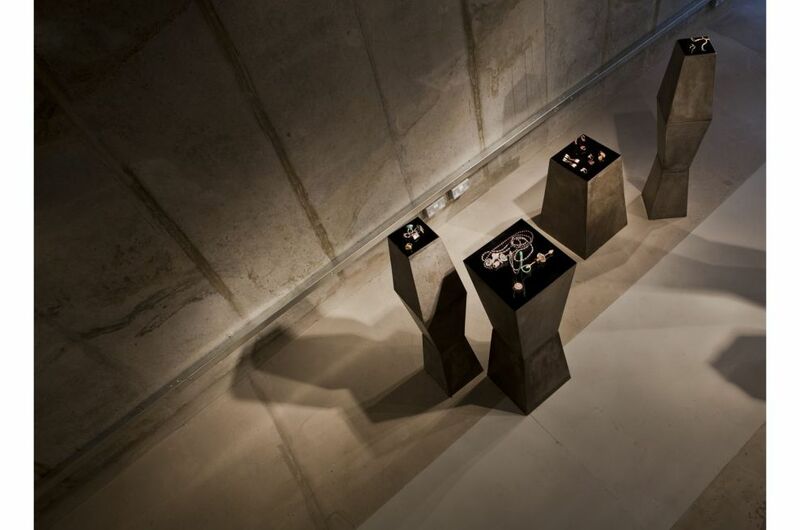 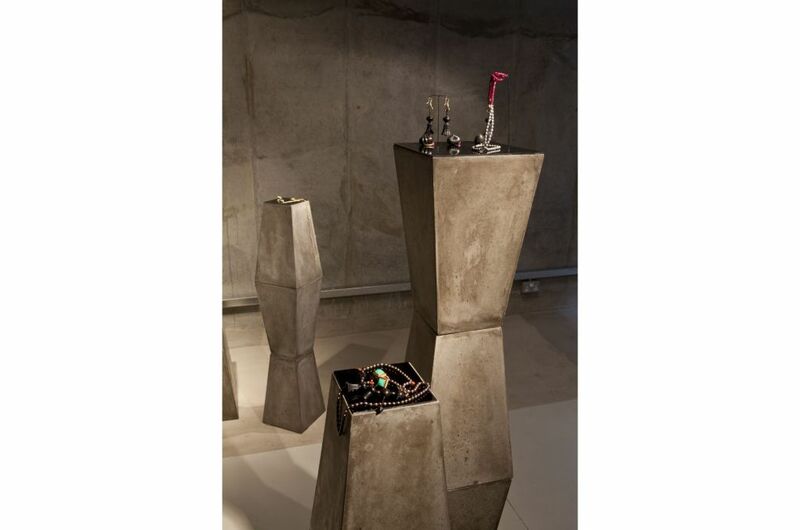 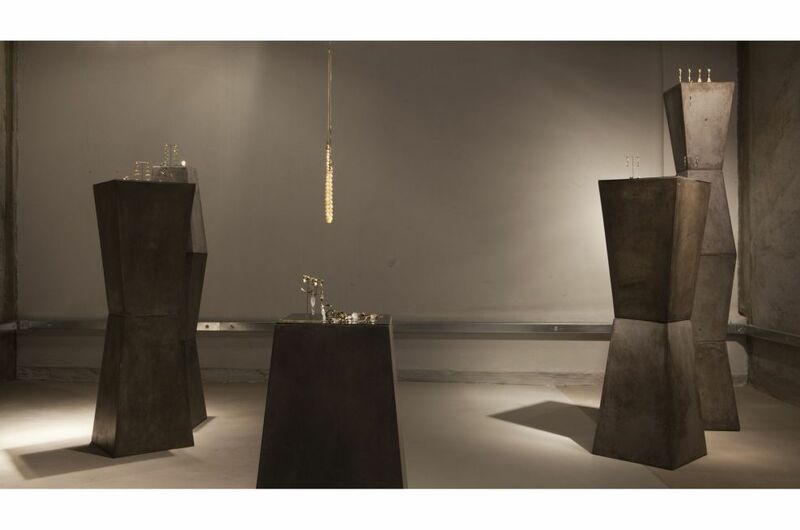 IOTA’s Fresco planters were given a new twist in an exhibition by fine jewellers Alice Cicolini and Fernando Jorge. 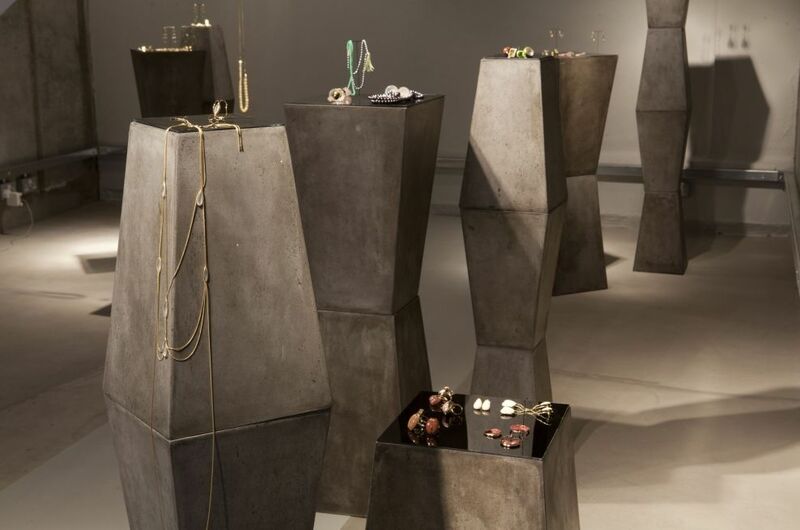 Staged at Somerset House Vaults on London’s Embankment, the concept for the exhibition space was to create a Brancusi-inspired concrete landscape within which to display the colourful and delicate jewellery to best effect. 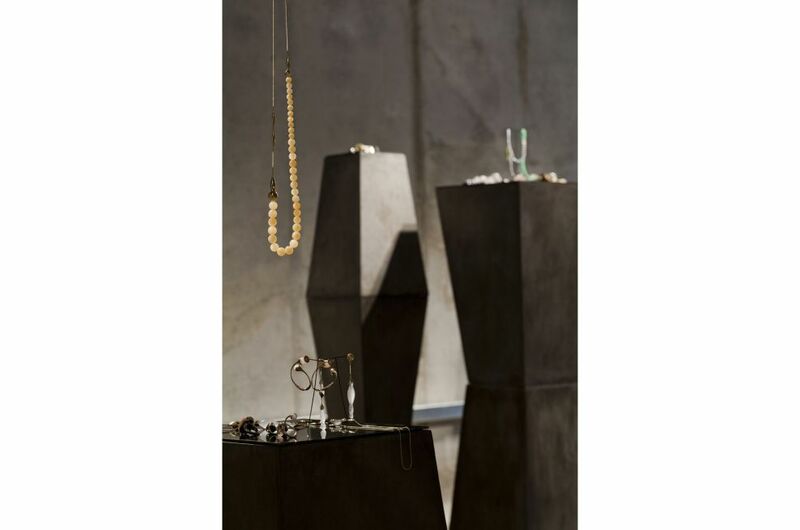 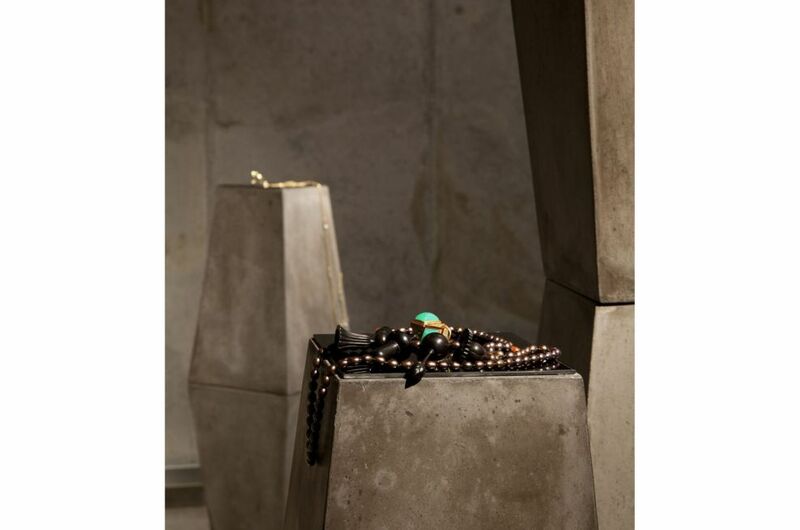 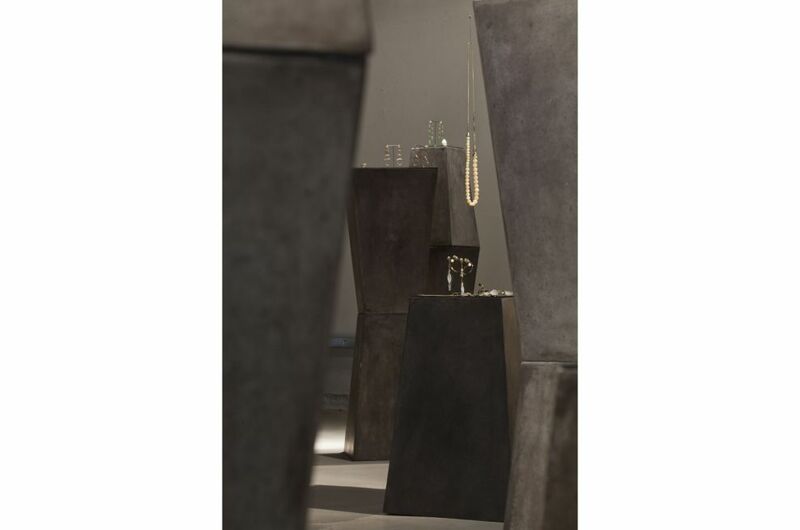 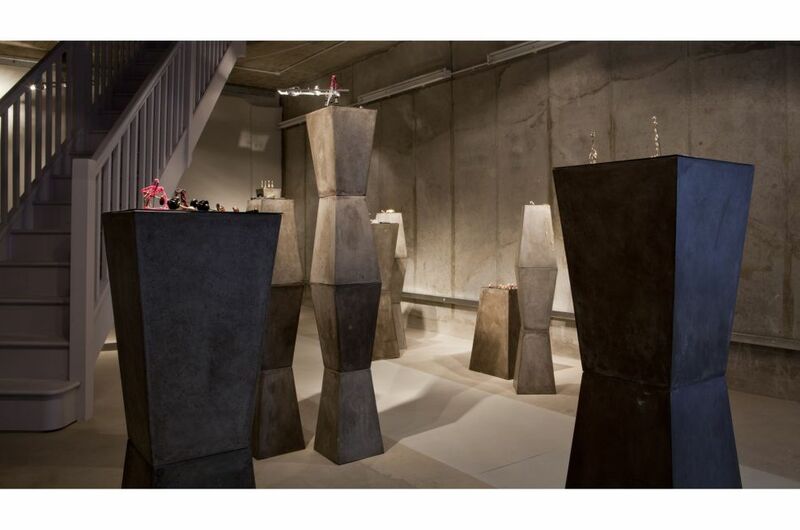 Fresco planters were stacked top-and-tail up to four high, to create polished concrete display plinths reminiscent of Constantin Brancusi’s ‘Endless Column’, widely considered to be one of the great works of 20th century outdoor sculpture. 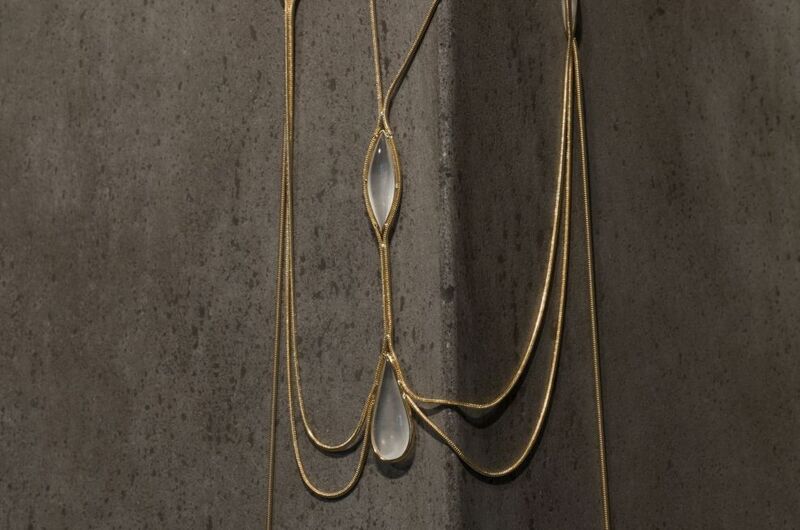 Alice Cicolini’s work is inspired by the sacred architecture and patterns of the Silk Route, and the jewellery is made in the studio of one of the last Jaipuri craftspeople to be trained in the art of meenakari – an enamel tradition of Persia which has been passed down through family generations over 200 years. 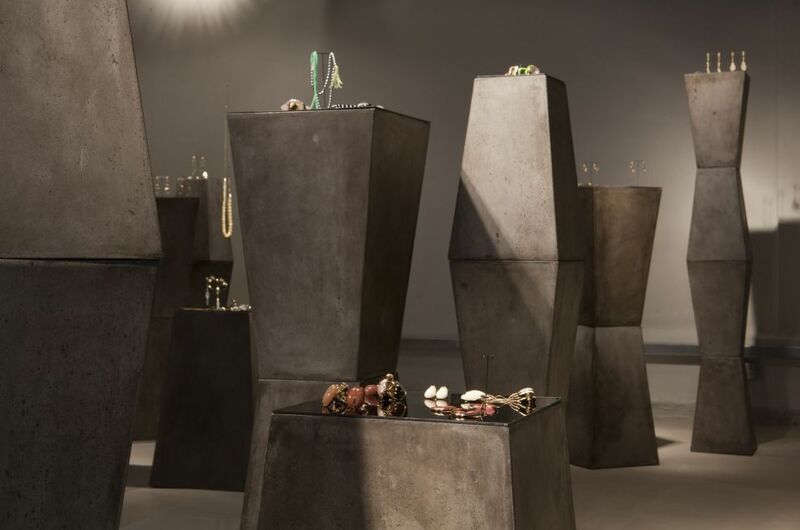 Brazilian born jewellery designer Fernando Jorge takes inspiration from the rich and varied concepts of body, gender and sexuality found in contemporary Brazilian culture, to shamelessly exploit the blurry crossover between stereotypes and identity. 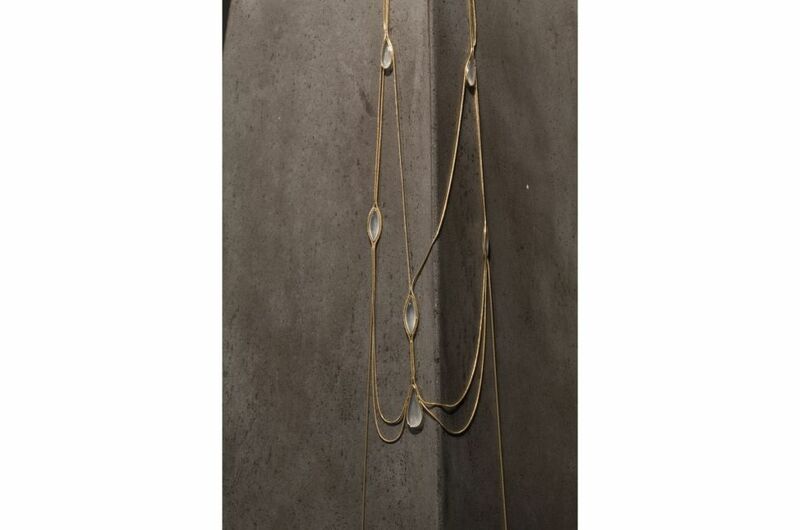 In the designer’s own words: “I aim for a subtle, playful approach whilst still keeping things very elegant”.